Glutathione reduces oxidative stress, decreases inflammation, and modulates T cell responses in lungs. Hence it is an excellent natural substance for treating conditions of lung inflammation, pneumonia, emphysema, cystic fibrosis, etc. and it can also work well with asthma. I used it myself following a bout of severe pneumonia, where it hurt to take a deep breath or inflate my left lung fully. I felt a marked difference after the first session, but after a while, it wore off. However, as the treatments continued, the expansion in my lungs remained for longer and longer periods. You will also get the overall boost to your immune system by inhaling it through your lungs as well. Recently, I had a bout of the flu and having had pneumonia, I didn’t want to take any chances. So I went to my naturopath for intravenous vitamin C, B complex and magensium, along with 20 minutes of inhaled glutathione. My cough was gone the next day. Please take the time to read through the many comments posted below as we have nurses and others who know WAY more about this than me, contributing their valuable information. General guidelines are to use 15 ounces of 3 – 3.5% hydrogen peroxide (MUST be food grade hydrogen peroxide) to every one gallon of water in a vaporizer and just let it run all night. You can also turbo-charge this remedy by adding 1-2 tsp of colloidal silver to the gallon of water. However, there are some risk factors to using colloidal silver for lung infections, so read this detailed article on using colloidal silver in a nebulizer first. *A 3.5% solution of hydrogen peroxide can be made quite easily by first pouring 1 ounce of food-grade 35% hydrogen peroxide into a pint jar. To this add 11 ounces of distilled water (NO tap water!). This will make 12 ounces of 3.5% hydrogen peroxide. Be VERY careful when handling 35% hydrogen peroxide as it will burn your skin instantly on contact. If it’s in a plastic bottle, then direct the opening away from you when you open it, in case it spits some out from the pressure build-up. You can also use hydrogen peroxide and colloidal silver in a nebulizer 1 – 3 times per day (takes about 10 minutes with a good quality nebulizer). But again, read this article about the potential risks first. A friend of mine used a combination of food grade hydrogen peroxide and colloidal silver in a nebulizer for her nine year old son – who has suffered respiratory issues since he contracted RSV (Respiratory Syncytial Virus) as an infant, and it worked so well he would ask for it every night before bed, for about 3 weeks. It dramatically improved the quality of his sleep and he was able to sleep through the night (without waking due to coughing or lack of oxygen). I have used colloidal silver and food grade hydrogen peroxide – on myself and my kids when needed. I suspect this formula actually works as well (and possibly better) than inhaled glutathione – but I would have to get pneumonia again to test it and be sure! However, these products are much cheaper than the glutathione, so definitely worth a try. Post below and let me know your results. And again, if your gut is not saying “Yes!” about inhaling silver and hydrogen peroxide through a nebulizer, then perhaps using them in a vaporizer would be better for you (less direct and intense). You can also put baking soda (change pH and many bacteria die), magnesium (relax tissues/muscles), or nascent iodine (NOT potassium iodine as this could kill you!) into your nebulizer or vaporizer and this article has good instructions for using baking soda, magnesium, or nascent iodine for respiratory issues. 1. Research shows that many patients with asthma and other bronchial diseases have low magnesium. 2. Both histamine production and bronchial spasms increase with magnesium deficiency. 3. Many drugs used in the treatment of asthma cause a loss of magnesium, only making symptoms worse. 4. Magnesium is an environmental detoxifier reducing the triggers for asthma. 5. Magnesium relieves stress to alleviate the emotional triggers for asthma. 6. Patients treated with simple magnesium supplementation report marked improvement in their symptoms. If you tend towards constipation and would like a little help with your bowel movements, you can take magnesium citrate, 300 mg per day. But if you want to bypass the digestive system (or take a larger dose), then take your magnesium in nanoparticle (angstrom-sized) form, or topically as transdermal magnesium oil – this oil can either be applied directly to your skin, or added to your bath or footbath. For complete details and instructions, see my blog post all about easily absorbed forms of magnesium. Since our soils have become depleted of minerals, it is estimated that up to 60% of the population is deficient in magnesium, so likely ALL people would benefit from adding this essential mineral to their daily intake. I even give magnesium daily to my kids and it prevents them from getting cramps or ‘growing pains’ as they’re both competitive athletes (aged 9 and 11). Here’s a story from one of Dr. Dean’s clients who even used magnesium to cure her dog’s asthma! So personally, I would use both a substance (like glutathione, or hydrogen peroxide/colloidal silver) in my nebulizer AND supplement aggressively with magnesium. Here’s the nebulizer I use. And for a killer cough one winter, I used food grade hydrogen peroxide and colloidal silver (as instructed above) three times per day and within 2 days was no longer coughing at night (I had been able to lie down to sleep for 2 weeks!). I started with nebulizing the silver/hydrogen peroxide once per day, but that did not have much effect. As soon as I ramped up to 3x/day the effect was immediate. And here’s a nebulizer Dr. Sircus recommends (less than $30 with 5 year warranty). Dr. Sircus has a great article here on nebulizing a number of different substances – including magnesium. I had the treatments done at my naturopathic doctor’s clinic. You can rent nebulizers and do it at home – but you’d have to do an internet search for where to purchase the glutathione. Also, get the one in the baking soda base – it’s more soothing for the lungs and is also anti-fungal, so there’s a double benefit to the baking soda base. If you decide to do it on your own, please post here again and let people know where your sourced things from. I’m on my second round of glutathione treatments with a nebulizer 3x a day for a week which I did rent. 200mg.. Given to me by my naturalpathic dr. I will probably purchase one as this will be something I do for the rest of my life. Its a fantastic way to get this anti-inflamitory anti oxidant into your body. I’ve been an asthmatic all my life, 45 yrs., and the first time I did this I was free of all my meds for three months. Couldn’t believe it. This is a miracle substance and I will share this with all I know suffering from and lung ailments. Well done and good for you for searching and trying natural treatments instead of more drugs. I have been using Sublingual Immunotherapy. The allergens are collected from the patients home, etc. Both airborne allergy patients and asthma patients with airborne triggers have been greatly helped – some completely symptom free for more than 15 years. The glutathione taken via a nebulizer is most interesting to me. Did you take 200mg each treatment, three times a day for one week? I had 600 mg (3 cc) per treatment. Intitally, I had one treatment per day, for 5 days. Then 1 treatment every 2 days for 2 weeks. A year later, in the winter, after a particularly stressful period, I felt the same tightness/end of breath wheeze so I went in for one more treatment and have been fine ever since. Is the sublingual immunotherapy homeopathic? Sadly, I cannot get my asthma under control like the first time I used it back in Sept. Last year. It does help some after each session of 2cc in a seringe. ( i think thats how to explain it) I do about 3 sessions a day through my rented nebulizer. Also, an occasional altering with H2o2 liquid which helps kill pathegens.. Will be seeing the natural dr. in a wk. Having to use my inhalers again. I’m very sad about this. Thought I finally found the natural help I needed to control my asthma brought on by an illness back in early Jan. But I will find the problem and it will be fixed. The SLIT that I employed for my patients is not homeopathic; although the initial dose is unpotentized 1X. Naturopathic SLIT can be done homeopathically. Homeopathic pharmacuetical companies do sell potentized allergens. Boiron is one and may be available in your health food store. Unfortunately, allegens specific to your region and activating your immune system may not be included. Today’s, About.com/allergy has info on SCIT and SLIT. Mark – thanks for posting that, so others can find out more too. Debbie – you have a great attitude. Yes, there is a natural solution to your asthma and you will find it if you refuse to give up. Tips: look into whole-body health, not just lung/asthma treatments, since asthma is a very multi-layered problem (in my opinion). Also, have you tried EFT? Go to http://www.emofree.com and type in “asthma” and it will pull up some very interesting articles for you. I’m sure you’ll get some ideas from that. Just phone them and I’m sure they can help you out. The other thing I recently read about that’s great for lung conditions – actually, I will add it to the original blog post above, so everyone can read about it. Hello, I too have asthma, (adult onset). I used a nebulizer with xopenex as I don’t want steroid inhalers but 3 days ago I stopped breathing and went to emergency and have to take a Prednisone burst, Xopenex and Flovent 2 x day plus I was given Oxygen. It’s scary. I cried because the Doc said I have lung damage or scarring and 2 months ago I was told my lungs were perfect. I caught a very bad cold and have been fighting it for a while and it got worse suddenly that’s why my asthma worsened I believed. I went to a Naturopathic Doctor but I don’t believe this one was that knowledgeable. I don’t eat dairy at all, a total vegetarian and eat healthy, lots of probiotics, etc., I feel great, energetic but my lungs need help. I tried to get the Naturopathic Doc to prescribe me Glutathione, but she wouldn’t and of course the Medical Doctor wouldn’t give me something that’s harmless that would possibly help me. Can I get it myself? Or, can I make it myself with glutathione supplements and put it in my nebulizer? I am not going to give up either, I will find a cure for this! Thanks for this great forum! Hi everyone – my wife has a severe breathing problem, which the doctors are calling asthma, and wanted to treat with prednisone, flovent, etc. Being a student of kinesiology and EFT, she didn’t feel this was the right answer and started oral H2O2 treatments, and then found a doctor who prescribed liquid glutathione in a nebulizer. I’m curious as to how long you have experienced the treatments taking before you feel the effects (and see improvement). She has been taking them now 2x/day for about a month and is miserable, her condition has worsened, she’s up all night coughing, wheezing, and it’s incredibly painful to watch her suffer and be powerless to help. The cough now racks her entire body, and she has to force the inhaled glutathione down. As soon as she starts to breathe it, her body reacts with a hacking cough. She has to control her breathing to limit it to only the lower parts of her lungs (belly breathing) or else she cannot get the medicine in. Any experience you can relate would be greatly appreciated. At this point she’s stumped all medical professionals (traditional, naturopaths, and otherwise). No, she should not be reacting like that. I would say that the glutathione is not helping her and she should stop it. The oral hydrogen peroxide will only help if her problem stems from pathogenic infection – if not, I would stop doing that too. Personally, I would focus on SERIOUS EFT work, from a very skilled therapist. Trust me, there is a world of difference between doing it yourself, and also results obtained from practitioner to practitioner. This I know from experience. She should book a free 30 minute consult with my therapist – Annabel Fisher ( http://www.efthealingcentre.com ). As Annabel has healed herself of a chronic illness (she was wheelchair-bound with CFS) she REALLY understands the layers and different facets that come into play with a condition like your wife’s. I would encourage her to commit to 10 sessions and really go for it. This is what I have done with Annabel and seen phenomenal results – my husband even goes to her now (and you know how resistant guys usually are to anything like this). If she has more than 3 bowel movements per day, then she must use the powders only, not the capsules. I have asked a Naturopathic Doctor here in Shasta County to prescribe Glutathione but she wouldn’t and of course the Medical Doctors won’t either. I ended up in the emergency two times for asthma and not being able to breathe, short of breathe. They wanted me on steroid inhalers, which I refuse. I found a natural medication called “Intal” or Cromolyn Sodium. I first purchased it over the counter in a Nasal Spray call Nasalcrom and it worked for me. It was created by a Doctor that had asthma. He discover an herb called Khellen and found that a derivative from that herb would stop the allergic reaction (Mast Cell Stabilizer) that caused asthma attacks. It is now a prescription and it works for me. I too coughed all night and had shortness of breathe of an on, kept up constantly by coughing. It takes about a week to work but I have no side effects from this medication and since I began have actually been sleeping every night without asthma. The last week I have had a little shortness of breath but never like before. I believe the over the counter version was discontinued because it was so effective. I know a guy with idiopathic pulmonary fibrosis who went from 66% lung function to 98% lung function. He used something that helped his body make glutathione. This is much more effective than taking glutathione directly either with oral pills, patches, or intravenous injections. The benefits of having glutathione INSIDE each cell, where the mitochondria are and ATP is produced, are much greater than bathing the extracellular areas. This same product, by raising intracellular glutathione, has broad spectrum positive benefits. I have another friend with Hepatitis C who takes the same product and feels better than he has in 33 years (the length of time he has had Hep. C). I’m working with several doctors to expose them to this new nutriceutical and encourage them to provide it in their storerooms. What is this product that helps the body make glutathione? And where do I purchase it? I found the answer for me. I had asthma severely, in the hospital 2 x in April and just September almost went back. As a result of taking all of the Albuterol (Xopenex) and other inhalers I began getting anxiety attacks. A vicious cycle with Clonzepham (the Dr. said it was not addicting) I quit in September, against the Doc’s advice and felt better quite rapidly after that. First, in September when I was at my lowest point, I found a “Precursor to Glutathione”, it helps your body create the Glutathione which is the bodies master antioxidant and in every cell we have and the company took 25 years to find out how to create a safe product to stimulate the creation of glutathione in our own bodies. . I found a product that has been scientifically studied and has 70 patents and is still being studied in longitivity trials. You can find at my site at http://www.immunocal.com/shasta (I joined for the 30% discount as it is expensive). It gave me energy again. Look at the testimonials all over for asthma, copd and emphysema. It is a bit expensive, it’s from Spain, created by a group of forward thinking physicans and one here in the USA. The good news is that it will be here in the USA soon! I believe the compound you’re referring to that helps the body produce glutathione and used to both protect the liver and reduce lung inflammation (particularly for cases like COPD and asthma) is N-acetyl cysteine (also just called NAC). Jini,comment #19what is the something this guy used to help his body make glutathione?I have 48% lung function sure would be nice to use this.Thank you,and inhaling glutathione is this a good thing????? Organic aloe (Aloe vera (L.) Burm. f.), Sea water, Green tea (Camellia sinensis (L.) Kuntze), Vitamin C, Vitamin E, Royal Jelly, Ginseng (Panax ginseng CA Meyer), Propolis, Bilberry (Vaccinium myrtillus L.), Zinc gluconate, Extract of Soybeans (Glycine max (L.) Merr. ), Glutamic acid, Cysteine, Glycine, Vitamin A, preservatives [Nipagin (E216), Sodium benzoate, Nipasol (E218)], Grapefruit Seed Extract (Citrus maxima (Burm.) Merrill), De-ionized water. Sorry this is so long but the ingredients are wonderful too. I love this product! It has literally changed my days. I can hike, ride my bicycle and even get a bit out of breathe. Some days are better than others, but I am improving all the time. Please know that I also eat very healthy. (I mess up too) but I eat dairy products, no white sugar, no sodas of any kind, I drink at least 8 glasses of water per day, I take Chlorella 2 times a day, I am a vegetarian, eat lots of fresh veges and sometimes I juice. My oxygen went down to 46, I was on oxygen, now it’s in the closet, so I know there is help for all of us! I took charge of my health and made a decision that living was more important than my taste buds. Yes, I have heard (for some people) that inhaling glutathione can also work wonders, for some not. What is this inhaler spray called and where would I purchase it? Its for my husband who has suffered too long with asthma. Sorry, I meant to say, I eat NO dairy products. I will eat a bit of goats cheese and real organic cream one x per day in my one cup of delicious coffee (my treat for the day). Sharon, looks like Jan has answered your question. And Jan – thanks for sharing so much info and detail! Some people inhale glutathione with a nebulizer. This is for people with severely diminished lung function, like Emphysema or COPD. Some people get glutathione injections. The only problem with all these therapies is that the glutathione cannot get inside the cells, the molecule is too big, so it literally bathes the extracellular fluid only. This has some positive benefits. But it is preferable to actually make glutathione inside the cells, so it can go to work protecting the mitochondria, making more ATP, and basically doing its antioxidant function. It does this better than any other antioxidant in the body. Yes, “Ashes,” one of the precursors in our product is N-Acetyl Cysteine (NAC), the rate limiting factor in glutathione production. We have other precursors and cofactors that help our product be preferentially absorbed through the intestinal walls. There is no glutathione in our product, because, as many of you know, glutathione taken orally is broken down and eliminated. Our product is the raw materials to allow your own cells to make glutathione. Our product has a Composition Patent, very unusual in the supplement market, and Clinical Studies on humans to back up its claims. I’d be glad to discuss this further with anyone who wishes to know more. I’m in the Alaska time zone, one hour past Pacific time zone, 907-457-8080. Please only call between 9 am and 9 pm. Thanks. You really can’t eat your way to enough glutathione, or take fully formed glutathione and have it work efficiently for you. As we age, we make less and less glutathione, while at the same time, our oxidative stress is rising. I just looked at the Immunocal link provided above. The claims from this company are that Immunocal raised glutathione levels 35.5%. The average rise in glutathione in our study subjects with our product was 292% over the full Clinical Trial. That’s more than 8 times better! Our product has the greatest opportunity to effectively raise glutathione in not only people with disease, but in normal, aging adults who are looking for better health. This is why so many medical professionals are beginning to use our product and recommend it to their patients. See phone number above. What product are you speaking about Kathy? I use Immunocal and I love the product. The company is in Canada and the product has been proven to boost Glutathione, has 70 USA patents as well as over 25 years of research and clinical studies, 80 international patents worldwide and has over 80,000 scientific clinical studies completed and is still going strong. Immunotec Immunocal is listed in the Physicians Desk Reference as well as The Canadian Drug Reference for Health Professionals so it has been written as a prescription. I am curious to know what product has all of these credentials and more. Do you have a web site? Immunocal really helped me, increased my energy levels, made me feel more balance, however the product that really changed my life, totally, was the Refensal. It gave me almost immediate results that I could feel (I could breathe -hooray) and even though it doesn’t have all patents, the product has worked wonders for me and I am now seeing the same thing happen to a dear friend with COPD who is on oxygen 24/7. She was actually able to stop the oxygen for the first time in over a year for 6 hours, to play with her grandson! I am so happy for her. Refensal has been a gift, and honest there has been nothing that I have tried that has given me such results, so quickly. I can’t say enough good about it. You are also welcome to call me regarding Refensal at 530 605-3353 or you can read about it at http://www.naturalbalancecore@gmail.com/balance, click on Refensal at the top and then Clinical Cases. Hi everyone and thanks ever so much for all of your posts. My mother has been helped profusely by the inhaled Glutathione. I guess after reading what has been posted here, she may be able to take it more often than 3 x a week. Nothing helped her asthma and emphesema for long until she was put on Glutathione by her natural doctor. Due to the changes it makes for her on the days she takes this, I will ask her doctor if he will bump up the prescription to every day. After taking Glutathione, she actually can go 12 hours without her breathing meds. Her drugs have side effects which she could do without. The Glutathione relaxes her as well which tends to lessen the asthma attacks. Please help us. Our mother is 87 years old and has asthma, emphysema, 3 open heart surgeries; quadruple by-pass year 1992; ahorta replacement 2001; tricuspid and matrivalve 2007, pace maker plus diabetes and high cholesterol. She does not sleep well. Mikki, I’m sorry your mother is uncomfortable. Can I call you? List your number here and include what time zone you are in. My phone number is 907-457-8080 in Alaska, one hour west of Pacific time zone. Please call only between 9 am and 9 pm. There are several different ways to get glutathione into the body, but minimal ways to actually allow the body to produce its own glutathione. This last method is the preferential way, as putting “glutathione” into the body does not get any glutathione inside the cells where it is needed the most. I am new to this site. One of my specialties is respiratory health and have worked with high tech babies (all are on ventilators or breathing machines) and I have to say, the little science about what I am going to suggest is really positive. So here is first the old complimentary alternative medicine and then the new. Only thing, I am just starting to research the new and do not have any data to present. But you can do the research yourself. Everyone should know that the lungs and the mucous membranes are the only way to absorb glutathione. Otherwise, in the gut it is broken down and of little benefit. Yes, glutathione is used by doctors. There are a few alternatives to glutathione that involve taking the cofactors. On http://www.glutathionediseasecure.com/inflammation-in-the-lung.html you can find some of the options. Actually, using the various forms of cysteine (NAC or N-acetylcysteine is a supplement and a rescue med in the hospital and in asthma medications) does work good. If you are taking it on your own, make sure and take vitamin C to prevent kidney stones. I feel supplements are essential. Not a single patient in the hospital is not on some kind of supplement. Some of the doctors I have worked under even prescribe gum chewing and black strap molasses, yes, actual doctors orders in the hospital. And these are big teaching hospitals. It has to do with diet. By avoiding the pro-inflammatory foods and increasing the foods that boost glutathione and other nutrient needs, it may be possible decrease if not eliminate the respiratory problems some are facing. I have just started the research but if interested, start by looking at the live raw food diet. When I first heard this I was thinking, hmmmm, eating live raw vs dead raw chicken. Actually, you can still eat dead animals. Only thing, you need to eat a 75% raw and live (uncooked) diet. I put this out to all of my friends who are into the supplements. They said naaa then said that they had various raw food delicacies and they were fantastic. Things like unbaked apple pie and chocolate moose with out any milk. Everyone agrees that the were surprised. More importantly, the health benefits were also there for those who started this kind of diet. As to the supplements…there is a theory…unless as a treatment or as a rescue med, do not take them every day. A dependency builds up and then you cannot get the nutrients from foods as needed because they are so easily obtained from the supplements. The raw food movement backed my theory up as they do not eat the same food for more than a few days in a row. Best case, only eat any one of several of your foods for the day once in seven days. We will always need and benefit from supplements. However, there is a new weapon in the arsenal of disease fighting armaments. It is called raw food. Jonathon, Your additions to this site are interesting, but the rate limiting factor in glutathione production within our cells is cysteine. You cannot eat your way to get enough of this fragile molecule. Call me (907) 457-8080 or (907) 888-9437 to see about a Clinically proven supplement that raises glutathione intracellularly up to almost 300%. It is the precursors and co-factors (in a specific composition) that allow your cells to make glutathione, and this supplement is one of less than 15 in the country with a Composition Patent, which the US Patent Office awarded because it is so unique. I live 1 hour west of Pacific time zone. Call 9am-10 pm. There are over 91,220 articles on PubMed now about the importance of glutathione, which begins to decline significantly at age 20. Am already familiar with your MLM product. Actually there are several Glutathione (GSH) boosting products on the market right now. One, a crystal that you use tape to your skin even claims to boost GSH. As to not getting enough nutrients from food, well, that is a logical fallacy that is promoted by the MLM industry. Actually, there are no high level studies that prove or disprove how much we actually get from food. Are foods depleted in nutrients? Absolutely according to the studies. But, as a scientist, I have to ask, who did the studies? What were the studies. So how do we go about making a hypothesis? We look at anecdotal evidence. In the hospital for instance we know that some foods will totally negate the effect of warfarin sodium (Coumadin). Hmmmm, foods are depleted but studies show that, at least in this case, they can mess up the medicine. We look at black strap molasses. There may be only one other food that has more iron. There are no studies that says it will boost your iron count although Geissinger Health System is considering doing such a study. Even though it comes from the same sugar cane fields that have been growing sugar cane for generations it still works to boost iron stores. How do we know. We give it to our patients who refuse blood and their counts come up. They come up drastically. They come up as good as and in many cases I have seen, even better and safer than when given the IV form or iron supplementation. Even better, unlike the iron pills, which are one of the leading causes of poisoning in very young children and binding up older people with little absorption, this food serves as a stool softener while providing more absorbable iron and is safe for children. The reason for the profound effect is phytochemicals. Supplements cannot include these. These are only in live foods and are fragile. We also know that processed foods have lots of chemicals we need to get rid of. OOops. Eliminate the chemicals and you eliminate part of the problem. Now, as to how good your product is. Do you know what the best supplement to boost your glutathione is? By far, the absolute best, bar none, is the one you will take and the one you can afford. If you will not take it, then it is of no value. If you can not afford it, then you will not take it. Don’t get me wrong here. I believe in supplements. Especially for treating and as rescue medications. Especially using them instead of drugs. But in the hospital I see the side you never see. I see what happens when people overdose on nutraceuticals. I see what happens when people self medicate with supplements and get it wrong. It is not often but at least once a month. Remember, if they got into the hospital, it has to be bad. And I have seen people die from the misuse of these (not yours). Also, there is a credibility concern. In science, we need peer reviewed studies. I have done studies and my employers have done studies. But non of these are published by peer reviewed journals. This is because to have a high level study it needs to meet some serious requirements. One PhD doc friend of mine created an all natural allergy lozenge that was clinically trialed at my hospital. I read the results and it was 100% successful. The requirements were that the patients could not have been on any allergy medication for the past six months. I even interviewed some of the people. Only thing, this study is worthless as it is not peer reviewed. Remember when things cost $19.95 on the TV. These companies are all about marketing, the right price point and making a new crop of MLM millionaires. Feel free to contact me and tell me more. I love learning about GSH. I would be happy to add this to my list of ways to boost GSH. But my money is on improving our dietary intake. Just starting to research it but it seems to make a lot of sense. Jonathan – thanks for sharing your great info/experience! Can I get some more details on the blackstrap molasses usage? How much do you give adults/children? Do you give it straight off the spoon, or dissolved in warm water? What times of day and how many times per day do you give it? Is it better to take it on an empty stomach? Is your PhD friend selling the allergy lozenge anywhere? If not, is he willing to share the ingredients for people who want to make their own? Dr. Jonathan V. Wright does this with formulas he invents or discovers – he doesn’t bother with the clinical trial process, he just makes it available to his patients and sells the ingredients needed in his dispensary. When people find it works, they will tell tons of others! Jonathan, There are peer reviewed studies to support the research I mentioned above, and phytochemicals can be in supplements. Flavonoids are phytochemicals, and these are in several of our formulations. Glutathione supplements that are transdermals, patches, intravenous, or glutathione pills do not raise glutathione intracellularly, where 97-98% of it is needed. This is where the mitochondria are; the ATP producers of the cells, as you know. If you want to discuss this further, email me or call me: kathy.tayloryokel@gmail.com 907-457-8080, or 907-888-9437, one hour west of Pacific time zone. Medical professionals from diverse disciplines are embracing our glutathione enhancer because there is irrefutable science to prove its efficacy. The US Patent Office awarded it a Composition Patent, usually reserved for ethical drugs. Good luck with improving your diet to help your health. Many people are already doing this and need assistance with the potholes in their nutrition to improve their health. Complex information cannot be given or digested in a 30 second TV commercial, hence the reason for our business model. This forum is a valuable tool for people to get more information that they can then follow up on. I only post information that has Clinical Studies and peer-reviewed articles. For those who are open to improving their health, there is hope. Contact me. Great. Post the studies right here. I did a check again and could not find any specific to the product I assume you have on PUB med or any of the major journals I read from time to time. Please post them here. Everyone will appreciate the science. As to the patch and the crystals, I am not promoting them. However, although they are not in this country, their pitch sounds like they plagiarized it from your pitch. Only thing, they were out before yours was. One has been around for a long time. Again, I am not promoting them and they (dont know if they still exist) are from the other side of the world from the US. Remember, you are preaching to the choir. I am already on board, lecture about it and teach it. The difference, I have no economical interest in promoting it as I do not make any money from promoting it. My interest is economically unbiased. My interest is only in the science. I have personally used a few of the products and have got doctors to prescribe the ones that are in the physicians desk reference. The results were outstanding and had the doctors and nurses bewildered. One said she had never seen anything like it. Unfortunately there are no studies so far. One Pennsylvania Hospital is thinking of doing a study since they use it with their patients. Here is the best part…how many people do you know who are suffering with low red blood cell counts? Could this be a simple solution. One word of caution…if you are allergic to sulfa drugs, get the un-sulfured. However, it may be that the sulfured helps with the increase in GSH as well which may be a part of how it works. All the treatments and supplements, what if it was just increasing our intake of foods that were rich in sulfa compounds and we could boost our GSH just from our diet. We just do not know. We give one table spoon black strap molasses mixed with one table spoon of peanut butter (protein) three times a day. I try to get the families to bring in organic if possible. It can be taken however it is best liked. Also, vitamin C, B6 B9 (folic acid) and B12. Here I have been after the docs to just give a B complex but for what ever reason, it does not happen. Now, 200 mcg of selenium is being given. If you like Brazil nuts, two a day will do the trick. One of my hightech babies was given it by her mom. It was a teaspoon in the morning when she was 1 1/2 years. About the same time as this doc told me, I had my first bloodless patient with a blood count of 2.9 (13 to 15 is normal), the lowest I ever case managed. The EPO or Procrit was not working. I suggested it, got the doctors order it, ran out on my lunch break and bought it from a local grocery store, got the pharmacy to OK it and gave it. His count came up by 1 gm per/dL in less than 24 hours and in just two days he was starting to get some color (from being white as a sheet). Even the hematologists were impressed. You need to understand something here. There is a joke, “Do you know the difference between God and a doctor? God doesn’t think he is a doctor.” Well there is a version that a doctor will tell, “Do you know the difference between a hematologist and God?” (at least at the hospitals where I have worked). The next patient, a hour drive away (I was called in as consultant and Patient advocate) and she came up 1 gm a day every day till she hit 8 which was safe for her and as high as she ever got. The rest of the stories are about the same or better. If the teaching is up to me, unless it is critical (blood count less than 6.5) I tell the patients to only do this two to three days on and two to three days off. This prevents the body from getting used to getting the iron from this source so that it works less to get it from others. Remember, it is the other natural chemicals in foods that also have a part in our health. To eat or not to eat at the same time…do not know. Generally, I tell patients not to do this within 2 hours of coffee. Coffee is great, esp if without cream or sugar. But it does affect the absorption of some things, so this is just a best guess. No science. As to the science, there are studies that show that iron can improve the creation of GSH. So this is a win win with out the nasty side effects or risk of iron supplements. Dr. Bruce Laird, PhD created ACF Complex, the allergy cold and flu complex. He is planning to market them. He does not have a website up. I will try to get his address and post it. I live an 1 1/2 hours away so will have to wait till I am in the area. He has a bunch of interesting natural inventions. Many doctors use him. His breast cancer “cure” rate is slightly above my previous hospital employers. They were 80% and he was 82%. That is not what is interesting. One of his patients did both his treatment and the chemo at the hospital. Her CA numbers were within the safe zone in 6 weeks instead of the normal 13 of chemo therapy and she never lost her hair, she never got nauseated. More on Dr. Bruce later. Jonathan, While I am glad you are interested in learning and researching glutathione further, this is how I make my living, and I’ve been busy working with medical professionals, athletes, and business people since I posted the last time. I can’t attach documents here, but since there are over 92,000 peer reviewed articles about glutathione and only about 44,000 about Vitamin C, the evidence is huge. In a nutshell, the research about the importance of glutathione to human health is overwhelming, and the Double BIind Placebo Controlled Clinical Studies prove our product raises GSH. Direct any further correspondence to my email as noted above. Kathy – is your product MaxGXL? Jini, Yes, that’s one of 4 nutriceuticals we have. I put some calls out and one hospital is indeed looking into doing a serious study about the use of Black Strap Molasses. The decision will be made by the winter time. The hospital is in Pennsylvania and is a Bloodless Medicine and Surgery Center. As to the NAC / Max…Check out tric. There are a number of studies that show NAC helps with this. No doubt you have worked with someone dealing with this. Max is a far better way to get the NAC in my opinion. Even if you bought the various ingredients separate, it would cost about the same but be a whole lot more trouble than just going with the Max. Because of the age of many affected, it may require getting their doc on board. Now on to the Max studies issue…..or lack of studies. Please do not take this as anything more than a scientific opinion. Max (which has NAC in it) is fantastic. I love it. It works wonderfully for me. I do not sell it nor do I profit from its sale. I highly recommend it with the exceptions mentioned below. Unfortunately, there are no high level studies on MAX in the medical field. For one, it is because the only study was released after the author, Dr Keller died. So, although there is a study, it is not accepted as scientific proof. Oh yea, it is curiously missing some data usually in a high level study or even low level study for that matter. You mention studies. I am only aware of the one specifically on Max. Also, since he has a bias, it is not as good as say if Cleveland Clinic did a trial. Hey, the doc I mentioned above did a clinical trial at LVH Hospital and it had a wonderful result for a study. He never reefers to it. He is now trying to get Cleveland Clinic to do a double blind placebo clinical trail. They call me when they do not know what to do and I am, after all, an expert in my field. Raising GSH is part of my expertise. As a consultant, I am required a very high standard of what acceptable research is. Max, as wonderful as it is and as much as I love it, does not meet that standard. To put it in another light…here is how I would have to present it. Again, the focus is really on the n acetylcystiene side effects. Also, neither my librarian nor I was able to find any clinical or scientific studies or peer reviewed medical articles specifically on Max GXL published in the National Library of Medicine (MEDLINE) when using the PubMed search. Note: I have done scientific research, numerous times. Some of what I have been in was double blind placebo controlled studies. Yet, none of those studies means anything until they are published and reviewed and scrutinized by other experts in the field. Again, think Max is great. As a scientist, I cannot promote it with out the science, even though I use it myself. I can use marketing speak to sell it. But to present to doctors, there is nothing legit to share. There are a ton of studies on NAC, the main ingredient in MAX. This is what we use in the hospital when someone has an overdose of acetaminophen as well as other things. To say NAC is and does there for Max is and does…well…it is not science. It is an assumption. It may very well but then, maybe one of the ingredients on its own is doing the same only with out the NAC. NAC also works on pain although it is poorly studied. I know because of recommending it and hearing that it works in those who take it. I am wondering since it has such neurological benefits ( NAC that is) when high level studies are done, we may find that it helps with the delta receptors, the holy grail of pain management that has been hidden from mankind. However….again, I love Max…..yet there is an ethical dilemma it presents. How would you feel if you recommended it to someone and it harmed them? You would have to lock me away if I did that. You are no doubt aware that it is contraindicated in organ transplant patients. It is also not approved for 16 and under unless under the doctors order. This is what I was told from the Max people. Yea, I used to sell it but no longer do. It is not recommended for those on chemotherapy. I know this because I called the office and also spoke to some of the scientist about this. One of the perks of being a scientist. What I was not told is…. It has some ingredients that can cause anapahlaxis (rarely according to literature) Not a problem unless you are the rare one. Imagine giving a supplement to someone and they died. I worry about this every time a give certain meds to patients and I know what to do. One ingredient, D-Glucosamine is made from shellfish. Those with a shellfish allergy should be aware of the source of this ingredient. If you know you are allergic to any of the ingredients of Max, it might be best to avoid it. What scares me is when I see zealous promoters (not you) who say this (what ever they have, not just Max) is totally safe and in reality it has an ingredient that could kill a small child. Thank God for vigilant moms. This just happens this past year with a friend who was recommending a different supplement (again not Max). Turns out it had a wheat product in the ingredients. The child was deathly allergic to the ingredient. Again, this was not Max but it shows a flaw in the industry. The Physician’s desk Reference (PDR), states that alpha lipoic acid (a MAX ingredient ) should be avoided by women who are pregnant or nursing. If you are a diabetic or have glucose intolerance, it should be used with caution. This is because of no long-term safety data is available. The Physician’s desk Reference (PDR), also warns that acteylcysteine (NAC, an ingredient in Max GXL) should be avoided in nursing mothers and should only be used in pregnancy on the advice of a physician. Overdose can cause severe health ( I believe specifically heart ) problems and possible death. Again, so you don’t get upset with me, I take Max, I believe in it and think it is wonderful but as above, there is no evidence based medicine that it is anything more than the stories you hear. For my wife, it did nothing. For me, it is the best thing since sliced bread. There it is….my reply for those Mad about Max and my n acetylcystiene side effects concerns. If you can afford it and it is not contraindicated, it is great, go get it. PS. You are the first person I have ever spoke to from Alaska (that I know of). Going there is on my list of lifes things to do. I had been reading about a new inhaler that had been tested in Australia for COPD called Bronchitol. The active ingredient is Mannitol (aka D-mannose), a simple sugar alcohol. Not wanting to wait for it to get to the U.S. (not to mention the costs, and other possible side effects from other added ingredients that pharmeceutical companies are notorious for adding) I decided to order 2-3 lbs of it online at a cost of $35. I have chronic bronchitis–mucous forms in my lungs but not much of it wants to come out, so I was constantly coughing and hacking and losing my voice for a moment mid-sentence until I could clear it. This had been going on for several years, and my lung function was down to 43%. When I got the Mannitol I decided that the easiest thing would be to make sure it was strained nice and fine, then took a very thin straw (the kind you would stir coffee with) and put it towards the back of my mouth and inhaled the powder so that it would quickly reach my lungs. I would keep a plate with the mannitol on it at home, and every hour or so I would inhale a bit more (I was probably inhaling about 1/2 gram at a time). Within a day I could tell that I was having amazing results. I immediately scheduled another follow-up visit with my physician and he was astounded. My lung function had doubled to 86% in a single week, and the incessant wheezing, although not necessarily acute, at the back of my lungs had disappeared. I don’t think many people have figured this one out yet so if this helps a few people it will make me feel very, very good. In the meantime, I have been taking the Glutathione in capsule form but realize that I should be inhaling it, so many thanks for the apothecure website, where I will order some! Additionally, after making Xylitol my sweetener (and toothpastes. mouthwashes and chewing gum made with it) of choice for many years, I discovered that not only had it cured me of my gingivitis (and stopped any new cavities from forming). What I also realized was that it cured me of my most nasty allergies….I have 2 cats to which I was horribly allergic two years ago….runny nose, red swollen eyes, sneezing, etc. Gradually the runny nose and sneezing stopped and only putting my fingers near my eyes after holding them would bother me. Now not even that happens any more. Then I read about the use of Xylitol in curing allergies and put it all together. I have been taking 40g of Xylitol in my diet for several years now, and I can’t say enough good things about it (the rule of thumb is 1 gram per day for every 3 lbs of body weight). I am also now taking a supplement called policosanol which is a substance made up of a wider array of sugar alcohols. I have heard that there are some supplements with up to 24 sugar alcohols contained in them. Our bodies often stop manufacturing them naturally in the quantitites that they did while we were young, so some people react very very well to these substances, and they are not likely to have any negative effects on the body so it’s worth trying. Regarding emphysema, would drops of 35% Hydrogen Peroxide (H2O2), in an enhaling machine help in treating this desease? If so, how many drops would one use? If you use Hydrogen Peroxide as mentioned above, it should be food grade. There are other things in the drug store version of H2O2 and these could be harmful if breathed in. For both pneumonia and chronic bronchitis, one more thing to add to your arsenal of treatments is alkalized water. It can be obtained in a number of ways. There are expensive machines that convert the water (these work best for treating chronic bronchitis) and at the other end of the spectrum is baking soda. On the side of the baking soda box you will find the Drug Facts on how to use baking soda as a medicine. These are not the cure all but they will help the other things you do to improve your health. I should add, you drink the alkaline water. This will help your body become slightly alkalotic which will inhibit the inflammation process, reducing mucous buildup. Another thing that will help your body make the alkaline shift is lemonade. Science does not know why but it works as a paradoxical effect, the citric acid making your body shift to alkaline. But, there can be no sugar in the lemonade. Likewise cayenne pepper will too but it has to be raw. Do not drink after 3pm or you may be unable to sleep for much of the night. it will both give you energy and help your body become alkalotic, fighting the inflammation process resulting in the health problems mentioned above. One MD I knew of prescribed this for stomach ulcers, way before the current knowledge of why it works. Sometimes chronic bronchitis is misdiagnosed by doctors. It could be cough variant asthma or it could be chronic sinusitis. The above treatments work for these as well. If you can, get an asthma consult to find out for sure. The difference is that the more traditional treatments will not work for these. Is it possible to buy inhaled glutathione without a prescription? I don’t have health insurance anymore and am desperate to find COPD relief without the use of inhalers. I have had COPD all my life and do not smoke. I read somewhere of dissolving pure glutathione powder into distilled water and inhaling this instead. Ok, it seems the people in the comments are having success in relieving COPD with non-inhaled, glutathione precursor products. Immunocal, Refensal?, MaxGXL are all such products. Unfortunately, none of them are really cost-effective for long-term use. I was wondering if anyone has had luck with undenatured whey protein? It has also been claimed to be a great way to boost glutathione levels. But I can’t find much linking it to COPD or asthma relief. I may just try it for a while and report back here. Eugene, The data on undenatured whey protein show a 35.5% rise in intracellular glutathione using this method. Using N-acetyl Cysteine, 16 capsules at 500 mg each will result in a little more than doubling that rise in glutathione. The company that has MaxGXL has a second generation glutathione accelerator with the highest rise in glutathione available anywhere, around 276%; and it is 300% more effective than using the 16 capsules/day of NAC mentioned above. There are 17 peer reviewed articles on PubMed supporting this. There are a variety of ways to raise glutathione, but most don’t raise it enough to have a significant benefit. Even eating asparagus daily will raise glutathione, although immeasurable. It’s a Drive Medical Power Neb II Nebulizer and it works great! A warning: coincidentally, I ordered the Power Neb II from CSN Stores (WheelchairSelect is one of their front stores). They are only a distributor of Drive Medical products and do not have an inventory of them. So DM sent the nebulizer straight from their warehouse. Unfortunately, it was a different or older model with a copyright date of 2005 and a 1-year warranty. It seems the reason the item is cheap is because they’re getting rid of old stock. DM tried to spin things and said I received a new model that was not reflected on their site yet. But I wasn’t fooled. It looks like some generic nebulizer and DM just slapped some “Power Neb 2” stickers on it. The manual’s text contains no reference to a company or product name. Very disappointing, avoid! Two of the most popular nebulizers are the Omron NE-C25 and PARI Vios. I received the former yesterday and while it’s rather loud during operation, it seems to be doing the job. Many thanks to the ones who posted information on glutathione. My COPD stabilized enough that I deferred investigation until now. Currently, I’m going to inhale diluted hydrogen peroxide (without fillers) for a week or two and will observe the results. It happens to be the least expensive solution as well. If there are no benefits, I plan to move on to glutathione. I may even give iodine a go in-between. I had a lung infection (severe flu two years ago). It was so bad I thought I would have to be hospitalized (I suspect it was the swine flu as this is when everyone was getting vaccinated and very contagious as a result with it; I don’t do vaccines as they are filled with too many genetically altered organisms, mercury, aluminum etc.). I could hardly breath and breathing took effort as my lungs were so filled with fluid. What worked for me was to make some colloidal silver in my generator (www.silverlungs.com) and use a nebulizer to breath in the colloidal silver as steam into my lungs. I did this every two hours for 10-15 minutes and in two days it was all gone. I also put fresh lemon in water all throughout the day and lemons have the highest content of limolene in them and this breaks up phloem in the lungs. To: Charlie #44 Have you found how many drops of H202 you would put into Cpap machine? I have Hepatitus C and have been researching the effects of using Glutathione which is what Immunocal produces in the body. However, from the three sources that I have gone to so far, The Purple Book on Microcompletion (Starved Gene) on foreign (N) boxes=you got this, your not feeling good. This is what is happening to my body with Hep C now..and I am feeling not good. But the three sources, also a report from a Doctor studying Immunocal shows all good on most of these problems but not on Hep C, it works on Hep B though. Anyway….does anybody have any information more to give me on using Immunocal? I mean I need it for my brain and for my lungs, etc..but I need to know if it would by chance work on someone with chronic hep c and now a fatty liver and I am feeling problems! My study on Glutathione has been great since it does so much as the Master Antioxident and is the major nutrient needed by the immune system to even function…and it even works on Alzheimers..I am very impressed with it…But I also NEED to get whatever WILL WORK on HEP C. Please post here if you have any ideas/suggestions…. Thanks! I have other suggestions, as per my postings above, and I have people w/Hep C using these products and pleased with what’s happening with them. Immunocal can raise glutathione 35.5% intracellularly (their own findings), whereas what I would suggest would raise your intracellular glutathione almost 300%, as per numerous peer reviewed Clinical Studies on PubMed, funded by the National Institutes of Health. I started my mom on the glutathione and when she is finished with her treatment she coughs alot. Is this normal. Has anyone had this happen. Hi wow I’m overwhelm by all that I have read. 🙂 I have scaring on my lungs and now something going on with my lymph dr said not cancer but not sure what it is,they want to do biopsy my oxygen level runs 82-89%when I move around with oxygen on at 3meters. I had the h1n1 in 2009 and the pneumonia shot ..ugh I got really sick for 3weeks I couldn’t stop coughing,they gave me many antibiotics none worked.and I have gone down hill since then.I need Help ! I have changed my diet to veg soup/juice and some fruit.tried several herbs. Son wants me to go to the clinic in Mexico,but their has to be something I can do here at home.I’m scared 🙁 thanks for listening ! Jini, When I use the hydrogen peroxide in the steamer, do I still add salt to it? Also, Penny, yes, it is normal for your mother to cough a bit when she first tries the l-glutathione. Even for a while thereafter. She should take it slow at first and easy and if she feels irritation, I would stop. I also use l-glutathione in my nebuizer and it really works and helps my breathing when I am having asthma exacerbations. I add sterile sea water to the solution and if it is irritating, I just add more. One more thing, there is no magic cure. I tried Immunocal and yes, indeed it helped me, but what helped me most was changing my whole diet. I believe that our diet is the key to our health and healing. Also, supplements, but diet first, Nothing will help us unless we change that first (my opinion only). JAN – I agree with you, getting rid of the sugars (and perhaps using a broad-spectrum anti-pathogen agent like wild oregano oil to help things along) and then balancing your gut terrain with a therapeutic probiotic (like Natren) and then keeping things healthy ongoing with fermented foods, homemade yoghurt, kefir, etc. is the foundation for health throughout the body. Re the hydrogen peroxide and salt… I don’t know. Go to this post and download the “detailed instruction manual” and I’ll bet that will give you the answer – and then let us know here please! Hi Jini~ Thank you so much for the link. I will go through it later and let you know about then salt if I can find it. Looked at it briefly, lots of good info. I appreciate it. It’s a keeper. I also use food grade hydrogen peroxide, sometimes in my neb if I have a chest cold or feel it coming on. Coincidentally, I also use Healthy Trinity Probiotics by Natren, they are excellent! Also have wild oreganol oil which I just started to use again. I was using Olive leaf extract and making my own because I feel that my asthma is caused by mycoplasma bacteria and read they are so resistant to treatment but that olive leaf works wonders, but ironically found out I am allergic to Olive! I still have a hard time believing it because I have used all my life and never had a problem and feel no different without it. So decided to use the oreganol on a regular basis, 3 to 4 times per day to see if that will help. Also eating lots of fermented foods lately!!! Just found a great recipe for sauerkraut and have been making yogurt for my mother and she loves it!! She is 91 and not taking any medications Jini. I make coconut keifer for myself and my husband as we are vegans and I also have been making Kombucha, which my husband loves and drinks 2 x per day. Also I have been experimenting with keifer grains and making coconut water keifer and delicious green tea with pomegranate keifer. This is my favorite! It really gives so much energy too. Are the tests accurate Jini? I had blood drawn and was told that I was also allergic to peanuts, oaks (surrounded by forest of oaks, haha), alsom Maple, russian thistle and ragweed! All around me. I was going to go get tested at a place where they sell herbs,.They use a biofeedback machine to test to see what the body is lacking as well. Have you ever heard of this before? If so, do you feel these machines are accurate. Thanks for all of your valued advice Jini and for this great site!!! Sorry, I wish I had at least edited this post. I meant to ask you if you felt blood tests for allergies were accurate. Hi Jini, Thanks for telling me about that link, it is very helpful! However, I didn’t find anything about adding salt to the steamer, I went ahead and added a heaping tsp of Celtic Sea Salt and it worked very well for me. I am wrestling with a cold that has settled in my lungs and want it gone!!! I have one more question, does one have to see a Naturopath to have Vit C given IV and B shots like you had done? There is no one in the area I live that does that! Is there another way that can help? I am reading about “Primal Panacea” by a cardiologist named Dr. Thomas Levy who recommends IV Vitamin C and has cured people from impossible situations by it’s use. He has also done research on nutrition and how toxic dental materials play a role in many immune challenges and how they have contributed to a new frame of reference for epidemic disease in this day. He is the author of “Curing the Incurable”. There are several videos on You tube about it. Good to see some Allopathic Docs doing something different!!! Yes, to have IV treatments administered you have to see a qualified doc – naturopath, integrative physician, perhaps a nurse. Are you telling me there are NO natural health professionals where you live? If there are any, call them up and ask them who could administer this, because you can buy the vitamin C in IV bags from the Internet – you just need someone to administer it. Orthomolecular Medicine org has a lot of free info on Vitamin C, so you may want to check there as well. Thanks for the info about Thomas Levy – I’ve read some of his stuff through Ortho Med. but will check out his vids as well. In addition to Glutathione and Food Grade Hydrogen Peroxide, there is an inhaler that has had some success in Australia (not available in the U.S. yet) where the active ingredient is Mannitol (d-mannose, a sugar alcohol). When I read about it, I decided to order the Mannitol powder. I chop it up very finely and inhale it into my lungs. It really helps in a major way with expelling trapped mucus in the lungs. Great stuff! Thanks for the info, I didn’t realize that you could purchase the C from the internet. There is one licensed Naturopath here. We move here in 2008 and it is a shock as we lived in Sebastopol, CA and it is quite a different place. It seemed as though we had more natural health practitioners there than allopathic docs. I did call a new ND here and he doesn’t do that, and knew of noone. However, upon doing a bit of searching, there are chiropractors, some herbalists, I believe there is one nurse practitioner that may also do this. I didn’t realize it was that commonplace, but will def check around. BTW, we are moving back to Sebastopol, soon, I hope, at least we are trying to. I think it was easier to leave then to return!!! Thanks again, will keep you posted! I have copd and have been looking at every possible treatment on the web . I do see the need for Glutathione in the body. My question is can DMSO be used with liquid Glutathione to get it into the blood stream? Or should I just use the nebulizer ? DAVE – I get my inhaled glutathione from a naturopath, no prescription required. re. usage with DMSO… I really don’t know. I would be very careful and research it thoroughly. All great ideas above. I have tried some and more. For asthma I found that over time using xylitol in my diet instead of sugar (1 gram per day for every 3 lbs of body weight) got rid of my asthma and allergies. Replacing the shower head with a filtered one or getting a whole house water filter was very important. Many people get asthma from Chlorine. Unfortunately, although these things helped my asthma, allergies, sinuses and nasal passages so that I was able to breathe well through my nose (and can now cuddle with my cats! ), none of the things above helped with the horrible mucous production coming out of my lungs that made me sound and feel like an old lady…..the sad situation with chronic bronchitis. However, I discovered a MIRACLE recently….ACUPUNCTURE!! I knew very little about it. After one session I felt 50% better….after 4-5 sessions my chronic bronchitis, 8 years non-stop of it, was GONE!! I am still going for treatments (now every other week), and I’m not sure what will happen if I stop for a month or two, but my chronic bronchitis/COPD is literally GONE!! And they told me that it was INCURABLE!!! If you try this route make sure you can find somebody that is highly recommended, because not all Acupuncturists have the same level of knowledge and skills. In my case I was told that it was my kidneys that weren’t working well (from stress) and the lungs were working overtime because the kidneys weren’t doing its job. Now the kidneys are starting to heal and the lungs no longer have to do the job that my kidneys weren’t doing. It’s my understanding that Acupuncture in general works best with respiratory and digestive disorders….who would have known? Please pass this news on….you do NOT necessarily have to live with COPD forever! reduced Glutathione ( L-Glutathione ) ? Hi Dave B. I know I am not Jini, but this is what I know about the 2. Glutathione is a protein made from three amino acids: glutamate, cysteine and glycine. It is a powerful antioxidant formed in the liver, and it supports a wide variety of immune functions throughout the body. Glutathione can exist as one of two different forms: glutathione and L-glutathione. L-glutathiuone is composed of a single glutathione molecule with the addition of sulfhydryl. L- glutathione is the active form. It donates electrons to free radicals, or molecules with unpaired electrons. And also Dave B. you can order l-glutathione for your nebulizer without a prescription at Theranaturals. Raising glutathione is extremely important for anyone suffering from a lung condition such as COPD. You really want to raise glutathione (GSH) inside your cells, not just in your blood stream. 97-98% of the GSH is needed inside your cells, where your mitochondria are located. Only 2-3% of the GSH is needed in the blood serum. GSH is a large molecule and it cannot get inside the cells once it is made. It is made in every cell of the body; the problem is that people over the age of 20 years old don’t make enough, and if people have any condition associated with decreased GSH (COPD is on this list from PubMed.gov) then they are really behind game. I do know of a way to raise GSH INSIDE the cells that is safe, effective, proven and a breakthrough technology. Reduced GSH is the form your body uses in quenching free radicals. Oxidized glutathione is the spent form. GSH is the only antioxidant that is recycled in the body. FYI– if you buy reduced glutathione or L-glutathione and put it in the body (examples: orally, transdermals, patches, creams, or IV) you will not raise GSH inside the cells. Feel free to contact me directly: C 907-888-9437, one hour west of Pacific time zone. I wish you the best of luck. I work directly with doctors and nurses who use these glutathione enhancers with their patients to improve their health. Glutathione/Vitamin C/DMSO 15ML 1.25/1.25/6.25% in a nebulizer. so apparently they can be used together. Jini are you using L-Glutathione ? Power or liquid ? A little more detailed info if you please. It kinda sounds like you might be selling a product. Any opinions about colloidal silver? I have heard a lot about this. As to your second question– as you can see from reading all the postings above, several people promote products. I work with people as they begin a new regimen and detoxify at the cellular level. I will try to get in touch with Apothecure and let you know. today the cough is gone and the bad wheeze I had is almost completely gone. It appears the HP is helping. I just talked to apothecure, they said you need a prescription for Glutathione for the nebulizer. Is there a place to get it without a prescription? I don’t know if I can get my doctor to write one for this product. Since he never brought it up he nay have no idea what it is, Also its not cheap a ten day supply using it twice a day is $ 63.21. ouch ! oh and the formula I stated above she said was eye drops Using DMSO although it was listed under nebulizer uses. DAVE – sorry, I meant glutathione! I have changed it above. A friend of mine also used hydrogen peroxide in a nebulizer for her son with good results. How much of what concentration have you been using? Also, another cost-effective treatment would be to mix it with colloidal silver. I’ve heard of people using that in a nebulizer too. Yeah, glutathione is expensive no matter where you buy it. You may need to see a naturopathic doctor for a prescription. I checked out the naturals website and found the L- glutathione ( reduced ) plus seems to be the powder version that you can mix with water , dump the capsules in to water, and into nebulizer. and its 1/2 the cost of the prescription one. with all the different treatments out there something has to help copd besides the inhalers I get from the doctor, They don’t do beans. Hi Dave and Jini, Apothecure’s prices are too high and every Comnpounding pharmacy has very high prices. I checked the prices in 2007 when I had heard about glutathione for asthma and COPD by Dr, Whitaker. Please read one of my posts above as Therenaturals has the l-glutathione for about $35.00 for 100 capsules and each capsule I put in 5 ml sterile saline, (there is already sodium bicarbonate mixed in so that it dissolves in sterile water, I was using sterile seawater when I can get it. When I am have bad asthma, it does help and it does make one cough, but it’s good to get everything out of the lungs! In addition, something new that really works with that is large doses of vitamin c (absorbic acid), as well as quercetin, together. When I was very ill with bronchitis and asthma, I began taking the vitamin c 100 mg with quercetin and I kicked the upper respiratory infection out. This is the first year since I became deathly ill (in -07) that I didn’t need to go to the hospital! And so far, my immune system is getting stronger and stronger! Now I am juicing organic greens and fruits, kelp, dandelions, carrots, apples, boysenberries, strawberries, blackberries, pineapple, flax or chia seeds sometimes mango, coconut kefir, organic tumeric, ginger, cinnamon. I am going to do this for 30 days. So far, I feel great! Asthma is not an issue for me now. I don’t take any medications except I do have a nebulizer and a rescue inhaler. Just wanted to share that because not only do we need to take care of ourselves everyday and not wait til we get sick, or worse, but we need to feed our bodies health, not our illnesses, I read everything I eat and realize that most of the food we eat here is sadly, [processed. And our bodies don’t recognize priocessed foods. I am definitely not selling anything, just would like to see people get healthy and live vital lives. Also, please tell Theranaturals that I referred you, if you do purchase the glutathione as he gives me a small 10% off. Thanks. His name is Mike Parrish. L-glutothione Plus I do believe is the product your referring to. The pluse is 200 mg per cap and the straight L-glutathione is 500 mg but is made for oral use only as it states. 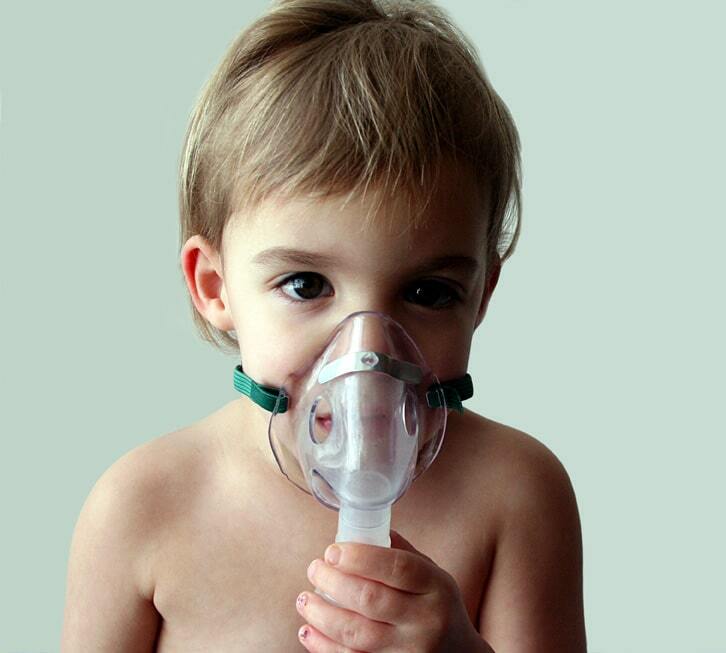 The plus version can be nebulized. The 500 mg is $50 for 100 caps. the plus is $35 for 100. I have read were others have used the plus version for nebulizing. but needs to be done. Hi Dave, Yes, then l-glutathione plus is the one that can be nebulized in 5 ml of sterile water, it suggests distilled, but sterile is always best as the lungs are so delicate. It is already to go and has a buffer to assist in reducing the acidity of the glutathione, Taking orally has never worked for me, but I do take NAC everyday as a precursor to the glutathione. Diet is important for everyone, there are no quick fixes, but proceessed food, smoking, environmental toxins, pesticides, herbicides, the list goes on all contribute to dis-ease and imbalances in our bodies. Nurturing should be easy, but we are so use to the foods and bad habits that it all becomes such a challenge, but I find it gets easier as time goes on because I feel good! And I want to feel good…One step at a time is the easiest way to approach the diet sometimes, because I was diagnosed with an iminent death diagnosis, I changed everything quite quickly. I guess you could say “I became as willing as the dying could be,” Good luck to you!!! I have a question about Glutathione. Does it help with increased energy ? I have done a lot of reading on it but didn’t see that mentioned. The HP doesn’t seem to be doing much for me now, in fact it seems to make me wheeze more now than I was before. I’m going to give it 1 more week then switch over to the Glutathione. I have ordered it and will start it soon. Make glutathione in every cell of every organ in your body. Glutathione (GSH) is produced by every cell in your body. It is the primary protector and detoxifier of the cell. For years, scientists and medical professionals have looked for ways to effectively raise glutathione levels. Because glutathione cannot be effectively absorbed through the intestinal tract, it must be supplemented via its essential building blocks, the amino acids cysteine, glycine, and glutamic acid. While glycine and glutamic acid are readily available through regular diet, it is much more difficult to absorb the required amounts of cysteine. Glutathione supplemented intravenously, orally, or via patches, etc… will never get inside the cells where it is critically needed. It must be MADE within the cells. Until recently, N-acetyl Cysteine (NAC) was the most consistent means of enhancing the body’s ability of maintaining optimal glutathione levels. To be effective, NAC supplementation required large steady doses that were inconvenient and overly expensive. Now, with the release of RiboCeine, the game has changed. Today my Mothers primary care physican visited her at home. I requested a thorough blood test to understand her chemical dispositon and how I can assist Mom by incorporating daily supplements into her daily drug regiment used to stabilize her COPD/pulimary hypertension. (1) Potassium chloride 10 mEq, (1) Sidenifil (Viagra) 25mg. Doctor wants her to take Sidenifil twice daily but after the blood test results this week. I am reading about nebulized administration of glutathione for COPD sufferers. Would like Mother to give it a try. She resides in Queens, New York. Any good solid leads on where I can obtain this therapy for her? Or can I do it? She has a new nebulizer kit unused. She always told me that it never did anything for her (Albuterol Nebulized Treatments) when given during her two hospital visits in the course of these two years. Ma just celebrated her 75th birthday and for over ten years was medically treated by various respiratory and heart specialist for every other ailment except what she had. Mild emphysema. She quit smoking three years ago upon learning of her actual stage. 1. Hi – I have found a lot of info on here and am seriously thinking about trying the glutahione in my nebulizer (will probably purchase from theranaturals.com and Janet Green I will tell them you referred me. I wanted to respond to the woman with Hepatits C. Look into getting a “Hulda Clark zapper” (don’t get imitations) and this will get rid of the virus for you. There are two companies I found that make quality zappers, bestzapper.com and drclark.com (Dr Clark Research Association). Immunocal, et. al. are just undenatured whey protein powder. You can get the same results from a non-MLM source. Jarrow brand works well for me and only costs $20/month vs. $100+/month for these MLM “miracles”. I mix it with orange juice. Whey protein contains cystine and other proteins that are glutathione precursors. It is important to buy undenatured whey protein as heat treating destroys many of the good proteins. It does “smooth” me out. It is not a miracle but I my lungs feel generally better when on it. Stay away from NAC as it has been linked to PAH (Pulmonary Arterial Hypertension). The only thing worse than having COPD or asthma is having PAH. I like it so much I’m now stocking it in the LTYG Shoppe. For a product like this, it is not just the issue of using the correct RATIO of silver to hydrogen peroxide, but it is also specially blended in a laboratory to avoid any burning side effects, that may result from home-blended hydrogen peroxide. Hi, Struggling with some emphysema and have had some help from NAC I think. I have bought some of Theranaturals Glutathione Plus, can I dissolve it in distilled water. Looking forward to hearing from someone. I have still to buy a nebuliser. I’m afraid we cannot comment on the use of that product as we do not carry it ourselves so it would be best to contact the manufacturer directly for instructions. Hi Justin, I shall contact the manufacturer though Janet mentions it on april 21st 2012 and JINI makes reference to it too. I was interested in speaking with someone who is using it at present. I do wonder about the distilled water too as people use it with the inhaled H202. Thank you for your inquiry and interest in our products. Most doctors will mix the glutathione with distilled water due to it’s availability however, some doctors prefer sterile water or saline solution. Any of these is adequate and works well. Latest recommendation is minimum, 1 ml distilled or sterile water or saline/capsule. Simply break the capsule open and empty contents into a sterile container. Mix in water and the solution is ready to be used however you choose. Let me know if you need anything else. I look forward to hearing from you again. Thank you so much for chiming in – we really appreciate your contribution to the discussion! Thank you for your inquiry. For lung issues, we recommend 600 mg/day min. Most doctors agree that 2 capsules in the morning and 1 capsule in the even is a good schedule. This said, you may modify, i.e. take more or fewer capsules as needed without negative effect. The sodium bicarbonate is a buffer with the sole purpose of neutralizing the acidity of the gLutathione. In this dosed form, the liquid will mimic the fluids naturally found in the body and facilitate a more comfortable therapy. Without the buffer, there have been cases of lung and soft tissue irritation and in extreme cases, bronchial constriction. As such, it is highly recommended to use the buffered form for any soft tissue contact. Let me know if you have further questions. i look forward to hearing from you again. I have sarcoidosis stage 3 but with stage 2 similarities. Doc says I have a 50% chance of going into remission and with my healthy choices he really beleives it will go into remission. I am on Pretnazone and I take Chlorella, Serra-Gold, and I juice. I eat yogurt and herring for breakfast and a 16 oz mixture of beet, carrot, shard, onion, pepper, ginger, celery and cucumber juice. Always looking for more advice, as I intend to beat this. I am doing inhaled glutathione that I bought by prescription for $100. I saw one of these comments reccomending theranaturals and am excited to save the money and not have to deal with prescriptions. I’m afraid there isn’t much we can help you with when it comes to sarcoidosis as Jini’s protocols are mostly geared toward people suffering from IBD and IBS. However, we wish you all the best in your efforts and would love to hear how it works out for you! I’m also taking the glutathione treatments as i’m suffering from Emphysema… any tips for me ? We don’t have any tips about emphysema, specifically, but you may want to take a look at the previous comments on this post (if you haven’t already) as some people have shared information about using glutathione with emphysema. Hi, Sadly for me it did not really work. My lungs felt a bit coated and my breathing not too good so I stopped after a week. Out of the blue I woke up to a dry incessant cough. The X ray showed I had pneumonia. Then, the CT Scan revealed emphysema. I inhaled and drank hydrogen peroxide with great results for my COPD. My pneumonia was gone in 3 days with inhaling the hydrogen peroxide. After I began drinking it, I could actually run up a flight of stairs, my toe nail fungus and tendonitus disappeared and my energy level and mental clarity were vastly improved. However, I developed an acute aversion to the taste. I then wanted to switch to taking the hydrogen peroxide intravenously. Unfortunately this procedure wasn’t successful due to a myriad of reasons. My homeopathic Dr. suggested nebulized Glutathione which I have recently begun. My questions are; Can I combine hydrogen peroxide with the Glutathione in the nebulizer? I also bought DMSO to be used in the IV. Can I combine DSMO with the Glutathione? I don’t notice any difference yet with the Glutathione (Day 3) but I KNOW the hydrogen peroxide has wonderful results. Thank you for any help in this matter. I am loathe to give up on the hydrogen peroxide. The P73 and Joy of the Mountains wild oregano oil are great and we recommend both. We aren’t able to comment on using the oil along with a blood thinner and aren’t qualified to speculate, I’m afraid. Wild oregano oil is a powerful, natural antibiotic so you’ll definitely want to consult with your mother’s physician before proceeding. Jini would love to hear how it all works out! I’m confused by your post #46 in which you state “there can be no sugar in the lemonade” and the Speechmastery link you provide in that post which states “traditional lemonade with real lemons sweetened to taste.” May I ask what your exact recipe is for your “Ice Cold Hot Lemonade?” Thanks much. Your blog is great ! I don’t speak well english, sorry. I have an emphysema, i would like to try the glutathione in a nebulizer. I found glutathione capsules in pharmacy but contain no Bicarbonated soda. For glutathione 600mg how should I add to Bicarbonated? We’re not sure if you can add baking soda to glutathione… and we’re not sure if they are compatible. But you may be able to find a method with a google search. If you end up finding out how to do it and it works well for you, we’d love to hear about it! I use this Glutathione which has bicarbonate.Its the L=Glutathione Plus by Thera Naturals and is ready to mixed with Saline for Nebulizer. No script required. They are a pharmacy in Sarasota, Florida. They are the leaders in preventative medicine. They sell high potency bio-available glutathione. Doctors all over the world use them for their products. I get my amino acid injections, vitamin cocktail and glutathione from them. No more asthma, no more hyper pigmentation and no more insomnia because of their products. Their direct line is 941-388-0800. Was told by pulmonary Dr I have LAMs disease of lungs. Any ideas on how to fight this disease or known natural products that may help eliminate cysts from lungs? Any help or suggestions would be greatly appreciated!! I wish I had a better answer for you but I’m afraid that we don’t have any information to share about that condition as we do not have any protocols or experience with it. We wish you all the best and would love to hear how it works out for you. Hello, I was wondering how is this different from advair??? Could I stop taking my normal medication with this treatment? Right now I buy generic advair online but even with my half off code it would be too expensive to have two treatments. Would the advair interact with this new treatment? Please help!!! I’m afraid we cannot comment about prescription medication as we are not qualified to do so. We recommend speaking with your doctor if you are interested in the treatment from the blog post above and how it might work with your specific medical condition. I have the L-Glutathione Plus but now need saline…..is it okay to nebulise the solution sold for contact lenses. … .? It says that’s sterile saline…..I’m struggling to find anything else here in the uk without a prescription. If you definitely want to use saline solution instead, you should avoid contact lens solution unless you can 100% confirm that the one you have doesn’t contain ANY other ingredients aside from sodium chloride and distilled water. Most contact lens solutions contain a variety of other things as well. I have COPD and was wondering about regular 3% peroxide in my nebulizer along with the albuterol. Also, at night I use a cool mist humidifier—-can I put peroxide in that? This helps me sleep all night long. Thank you for any help you can give…I so appreciate the comments from others and your response. So we recommend just being cautious of that if you decide to make your own formula. As for combining it with the albuterol, we are not qualified to comment on the use of it with a medication and recommend consulting your doctor on that. Also we have only used this formula in a vaporizer, which is different from a humidifier, so can not comment if it will work as well, but you can try it out and see if it will work out for you. I could never find glutathione suitable for my nebulizer, though everyone keeps talking about it. I found Jarrow pharm grade, but it has stuff in it that I do not think good for my lungs. Hello, I have a 6 month old who has an upper respiratory infection, lots of coughing. I would like to know of there is anything out there that is natural and safe for me to give him. I will appreciate your help everyone. We aren’t qualified in recommendations for that condition in babies. We recommend you contact your doctor concerning it. Sorry we can not be of more help, but please let us know if there is anything else be can help you with. The link for the Resp-Aide no longer works, and searching the store gives no results. Is it still available? Has the name changed? Thank you for bringing this to our attention. Unfortunately, the Resp-Aide has been discontinued. If Jini has any further recommendations other than this, we will update the information and let you know. We apologize for this inconvenience. Please let us know if you have any further questions. Is anyone familiar with methotrexate lung? My husband diagnosed with this in January. He was overdosed by dr for R A using this drug along with 3 other meds he was giving him. He was hopitalized for 27 days. He is off all of the drugs now. Doing several natural herb treatments and the ssential oils. I am considering glutathione plus in the nebulizer. Any info would be appreciated. I will be glad to share my experience living a near normal life. I have a few other suggestions as well for herbal stuff. Btw, my diagnosis is Sarcoidosis. Pervetion and treatment of emphysema is to stop smoking and avoid smoke in any way. Emphysema Natural Treatment that helps for better breathing. Bronchiectasis can occur if your airways become damaged. Bronchiectasis Herbal Treatment is to prevent lung infections and relieve its Symptoms and Causes with proper Diagnosis of Bronchiectasis.